Duke won a local recruiting battle Tuesday night when highly rated Enloe HS defensive lineman Christian Rorie (6'5 270 lbs) chose the Blue Devils over his other finalists, NC State and North Carolina. Rorie faked at the Wolfpack hat during his announcement before settling on Duke blue. College coaches are barred by NCAA rules from commenting about recruits by name until they're but every school has a #hashtag when they land a recruit. Then, a couple minutes later, Cut added a bonus. 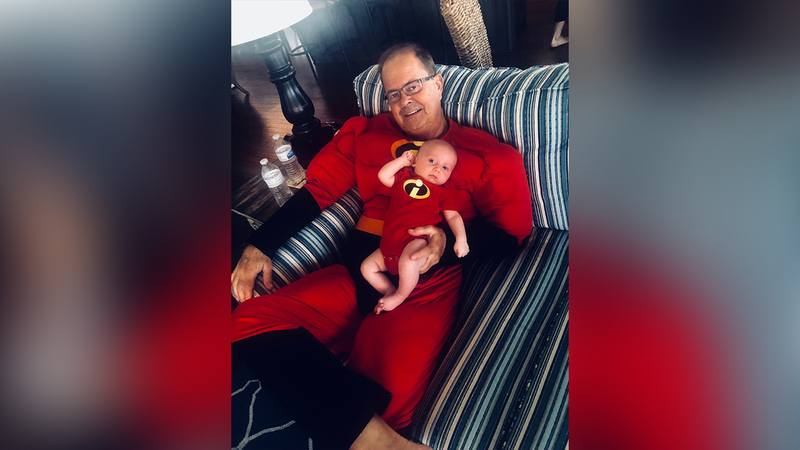 Currently on vacation at the beach with his extended family, he sent out this gem of a photo with his newest grandson. No word if he was playing off NC State's "Red Light" recruiting slogan with his Red Tights but we know this much --- that's a man enjoying being a grandpa!